Lacrosse Sticks - Dye Jobs - Fades, Glues & Pins Dyeing Lacrosse Heads is our specialty. Custom fade, glue and pin lacrosse dye jobs are available on this page. Dyeing Lacrosse Heads is our specialty. 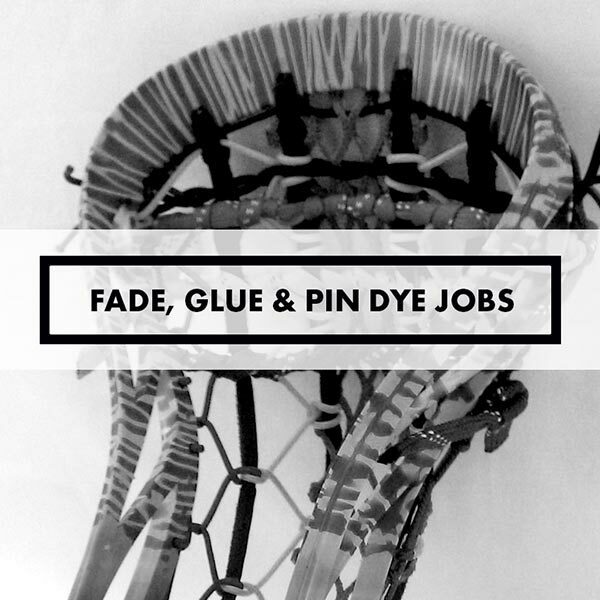 Custom fade, glue and pin lacrosse dye jobs are available on this page.